This year’s iteration features some promising provisions, while others are significantly less so and represent more of the same waste that existed in previous Farm Bills. On the bright side, House Republicans appear committed to implementing substantive reforms when it comes to the Supplemental Nutrition Assistance Program (SNAP), also known as “food stamps.” Food stamps used to have work requirements, which helped recipients get back on their feet and into the workforce, promoting financial independence. However, due to an Obama administration waiver policy, those requirements became meaningless. The latest proposal would reinstate those work requirements. It would ensure that able-bodied adults capable of work are either working or participating in a job training program for 20 hours a week. This will save the program money in the long-term and re-invigorate the workforce. No person on SNAP will lose their benefits as a result of this legislation, unless they refuse to participate in one of the options listed above. Food stamps accounted for a whopping 80% of the 2014 Farm Bill’s total cost and ended up costing taxpayers roughly $400 billion. The decision by the Committee to implement work requirements will end the cycle of poverty created by the program and will reduce this massive burden over time. On the flip side, however, Congress has taken no steps to resolve the wasteful, anti-free market subsidies. In the case of commodities subsidies, it may have actually gotten worse. Commodity subsidies are broken into two categories: Price Loss Coverage (PLC) and Agricultural Resources Coverage (ARC). Each establish a benchmark. PLC guarantees farmers a certain price point on crops, and ARC guarantees a certain revenue level per acre. These subsidies are only meant to cover shallow losses in case of a poor agricultural market. The benchmark levels are not based on sound economic measures and is often out of line with the market. For example, in this year’s bill, despite price decreases for almost every major crop, the price benchmarks are expected to rise, which will greatly expand the cost to taxpayers. Proponents of these subsidies like to talk about how they are mean to help the “struggling farmer” and are important for the preservation of American agriculture. This is not true. Ninety-four percent of these subsidies go to the top 6 crops produced (corn, wheat, soy, cotton, rice, and peanuts). However, these crops only account for 28% of the overall market. Furthermore, 20% of all subsidies go to the top 1% of farms. These subsidies do not help struggling family farms. They help large farms boost their earnings and insulate them from the market. Meanwhile, 7 in 10 farms operate without these subsidies and manage just fine. 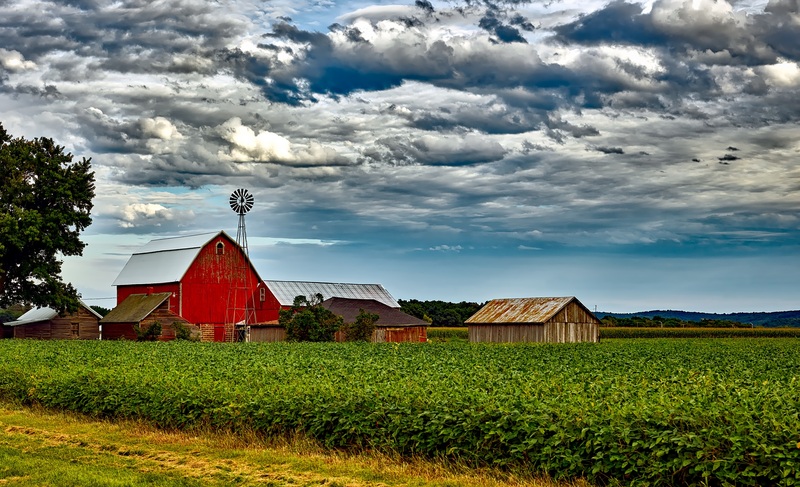 The House Agriculture Committee will have the opportunity in the coming week to rectify the shortcomings of the released proposal, and to expand on its accomplishments when it comes to SNAP work requirements. They should work to pass a free market Farm Bill that does not prop up large farms who cannot compete without government support.